This listing is for a Brand New Complete Synthetic Service Tune-Up kit for the Honda GL1800 Gold Wing year models 2001-2014. The kit includes the needed amount of Synthetic Oil, Oil Filter, Spark Plugs, Air Filter, and Drain Plug Washer. 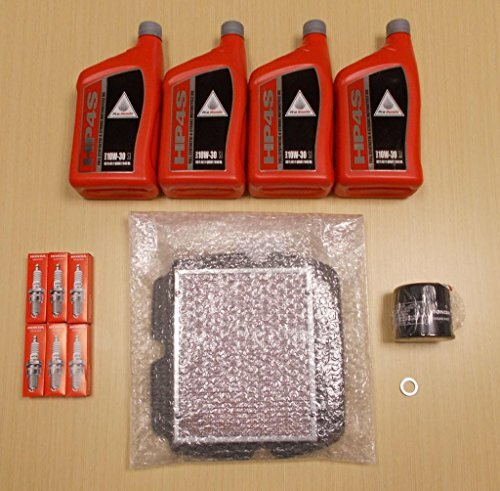 These items are all OE Genuine Honda Products. They are not Aftermarket. They are Brand New OE Honda.